Aethusa Cynapium: If Aethusa is the remedy of choice then the sufferer is usually a child with a congenital absence of the enzyme lactase, a condition also known as Alactasia. These children can’t digest milk and other dairy products in any form and suffer from stomach aches or colic and vomiting every time they ingest milk and dairy products. Such children also lose weight due to their inability to digest milk. They are irritable, anxious and crying. Milk may also produce green colored diarrhea or loose stools that contains undigested particles and is preceded by drowsiness, stomach aches and exhaustion. In some cases Aethusa Cynapium patients may also suffer from constipation and indigestion due to milk. Apis Mellifica: If you are an Apis Mellifica patient then you will have allergy to milk and dairy products and the ingestion of milk or dairy acts as an allergen and leads to a severe anaphylactic reaction (allergic reaction) that presents with symptoms of urticaria or skin rash, swelling, redness and itching of the body and difficulty in breathing. With all these symptoms you will have a condition of thirstlessness. China Officinalis: If Apis Mellifica is not your remedy then you may find your symptoms of lactose intolerance similar to the symptoms produced by China Officinalis. You will be unable to digest milk or other dairy products, which when taken will produce symptoms of bloating, belching and flatulence. You will also suffer from abdominal colic due to gas that becomes relieved only by bending double or by vomiting of food. You may also develop problems in breathing with mucus formation, coughing episodes and rattling sound in chest. You may also feel the effect of bloating on your face as it turns red and your tongue is also thickly coated and dirty. Lac Vaccinum Defloratum: Lac Vaccinum Defloratum is made by potentization of skimmed milk; hence it is suitable for treating the symptoms of lactose intolerance. If your remedy is Lac Vaccinum Defloratum, then after ingesting of milk and other dairy products you develop symptoms of nausea with headache, and vomiting. You may also suffer from obstinate constipation leading to passage of large stools that involves excessive straining. All these symptoms will ultimately make you feel extremely fatigued and tired. Magnesium Muriaticum: If your remedy for lactose intolerance is Magnesium Muriaticum, then you will not be able to digest milk and develop blisters on lips and tongue as a result. Your tongue will also feel burnt and scalded. You may also develop symptoms of headache and suffer from mental stress. 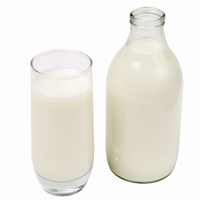 Your symptoms of lactose intolerance are usually chronic. tuberculinum and calc carb are good remedies in my experiance. I had one patient whose dairy and wheat intolerance disappeared (alongwith every other problem she had!) after I found out that she had lots of penicillin as a child and prescribed one dose of CArbo-vegetabilis 10M, as advised by Dr Arthur Grimmer. (Read him, he’s brilliant!). Aethusa – should read “these children can’t digest milk or other dairy products…….”, not “can’. Great suggestions for this condition. To Liz, exactly. Even I thought it must have been a typo .